Is weekending a verb? As in not the "week ending" but getting out and enjoying your weekend. So weekending. Or weekend-ing? At any rate, that is exactly what we just did. We weekended in the best way this weekend. If all of our weekends end up looking like this last one did for the rest of the spring and summer, I'll be one happy girl. I thought I'd share a bit of our weekend in pictures. Spoiler alert, if you follow me on Instagram, you've likely already seen these. Friday I took the day off and took Ollie shopping for summer clothes at the Just Between Friends sale. As usual the sale did not disappoint, I got him shorts, t-shirts, pajamas and somehow an Elmo chair also found it's way home with us. We also stopped at a garage sale and got a couple of new cars to play with, one of them is the mini version of the Cozy Coupe and he's pretty much in love with it. I had a quick dinner with my boys at our favorite dive bar in town, they have the best greasy spoon burgers ever. A lot of times Nate will go get the burgers and bring them home, but this time we brought Ollie down so all the staff who have been asking about him could see him. We had a nice little meal and then I sent them home so I could go have a girls night with some of my favorite blogger friends. 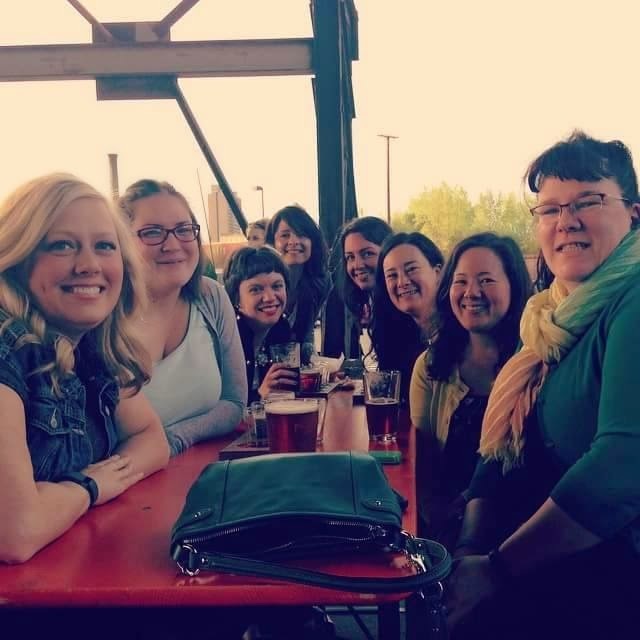 We met up at Bauhaus Brew Labs in NE Minneapolis and it was a beautiful night to sit outside and drink a beer! 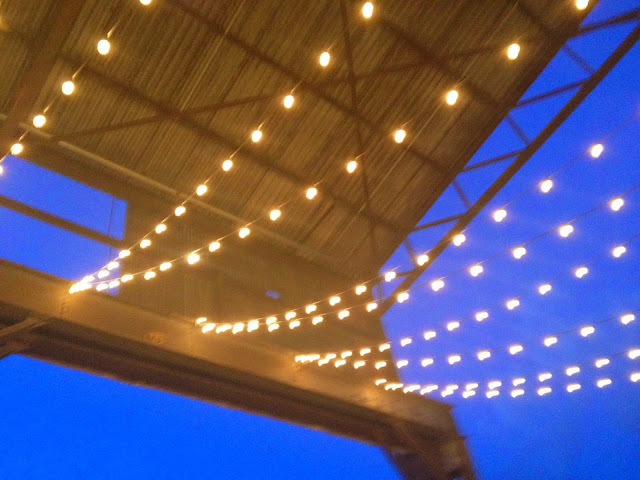 Above: Patio lights at Bauhaus. Quote of the night "are the lights Instagrammable yet?" Saturday was a simply gorgeous day outside. I had one requirement, we had to eat outside somewhere. I didn't care where, but it was just too nice not to. We took Ollie swimming in the morning and then ate outside a restaurant near the community center. 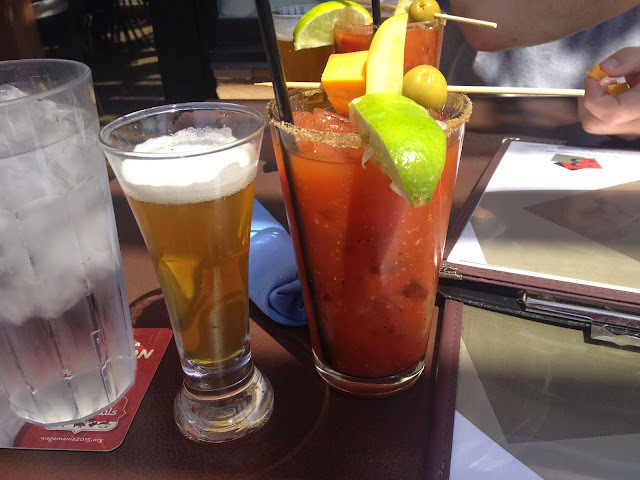 Nate and I each enjoyed a bloody Mary, Ollie had some water and we all shared a breakfast burrito. So good. Once we got home, Ollie took a nap and Nate and I both did some work we needed to get done. Nate re-potted all of his tomato plants and I priced out items for a garage sale I'm participating in next weekend (more on that soon). 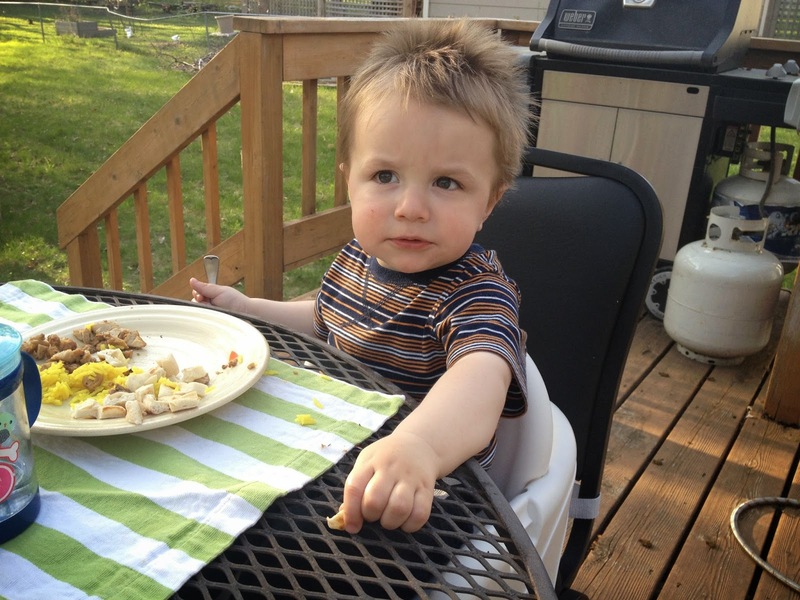 After Ollie's nap, we made some dinner and then enjoyed eating outside on our own deck. I love eating out at places with patios, but I think my favorite is my own deck. Ollie agrees. We took Ollie to the park but it was getting pretty late and he hit a wall so we didn't stay long in favor of getting him home to bed before a complete meltdown. He went to sleep and we zoned out to kind of a mindless movie, all that fresh air wears out mom and dad just as much as the child! 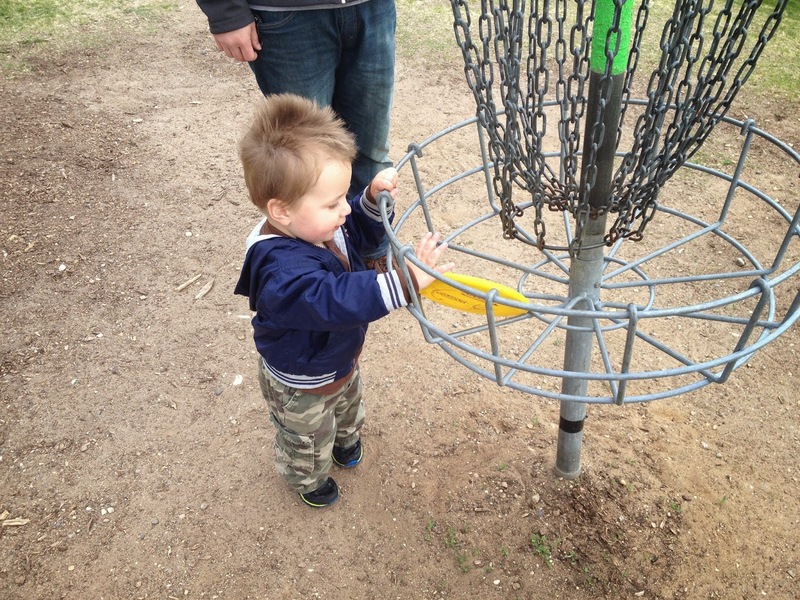 Sunday was another beautiful morning, so we went to worship at the Church of the Holy Disc Golf Course. We had a nice time even though it was kind of windy and whipping our discs around every which way. After our round we went home and cleaned up and then took Nate's parents out to brunch for their anniversary since they are celebrating that this week. We had a nice visit with them and his sister and her boyfriend. Ollie took a nice long nap and Nate and I sat outside for a bit. When Ollie woke up we got our dinner stuff ready ahead of time and then headed to the park a little earlier - it was a good thing we did, dark, DARK, clouds moved in and we checked our phones and realized a storm was heading in. We booked it home and made it just in time. 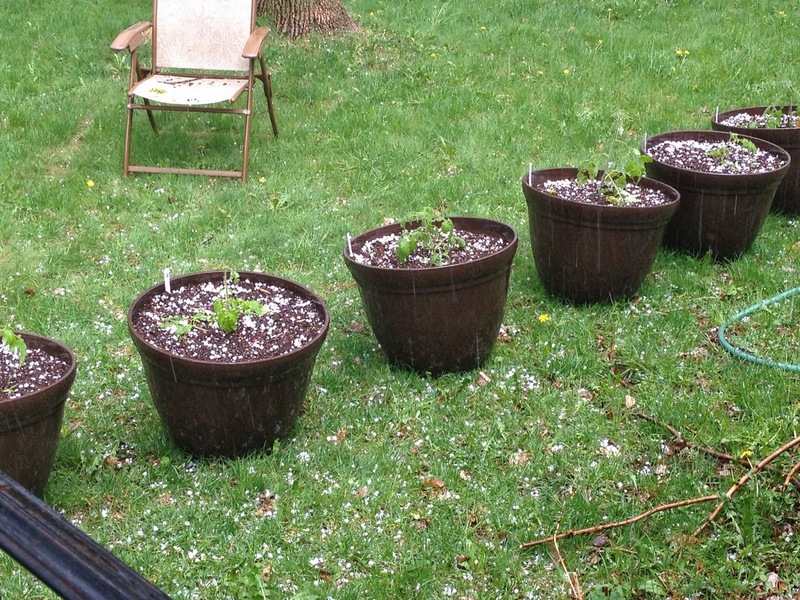 Ten minutes after we got home the sky opened up and not only rained, but hailed. A lot. Our poor tomato plants took a bit of a beating. I think they're going to be ok, one of them took kind of the brunt of everything, but the rest seemed to perk back up. Thankfully Nate's new car also seemed no worse for the wear. We ate dinner while the storm wrapped up, played with Ollie some more and put him to bed and then streamed some shows and fell into bed ourselves. Overall it was a good full weekend. We all fell into bed every night exhausted, but happy. So you can see why I am hoping for more weekends like that this summer! How was your weekend?